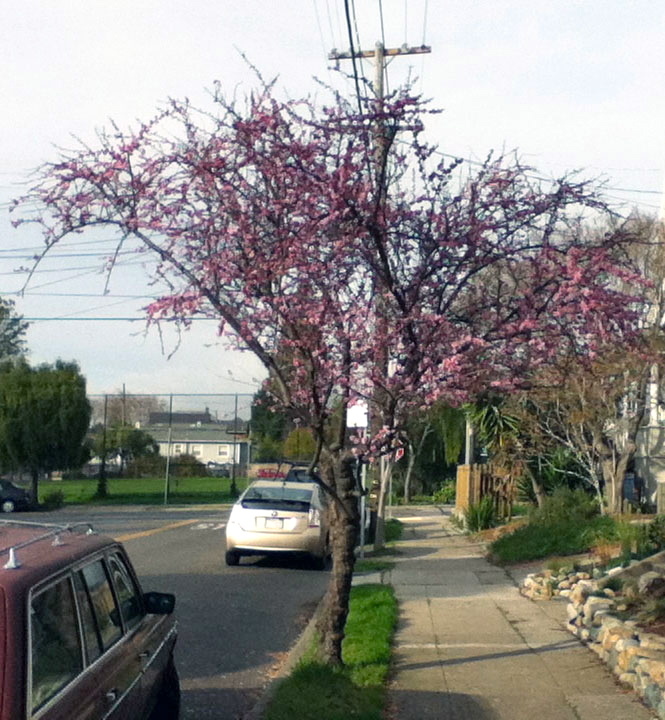 The tree of my posts of January 24th and 30th in peak bloom! 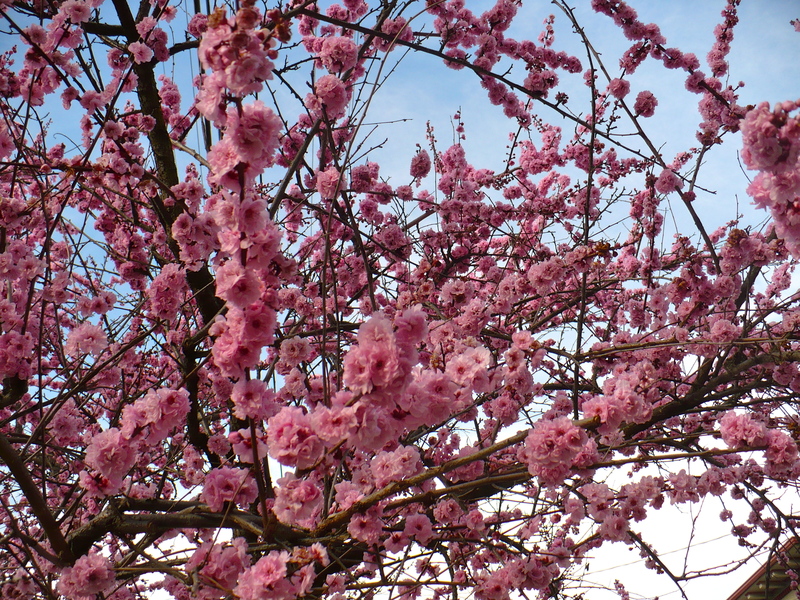 Another shot of the cherry tree featured in my post of January 24th — it’s blossomed so quickly!! 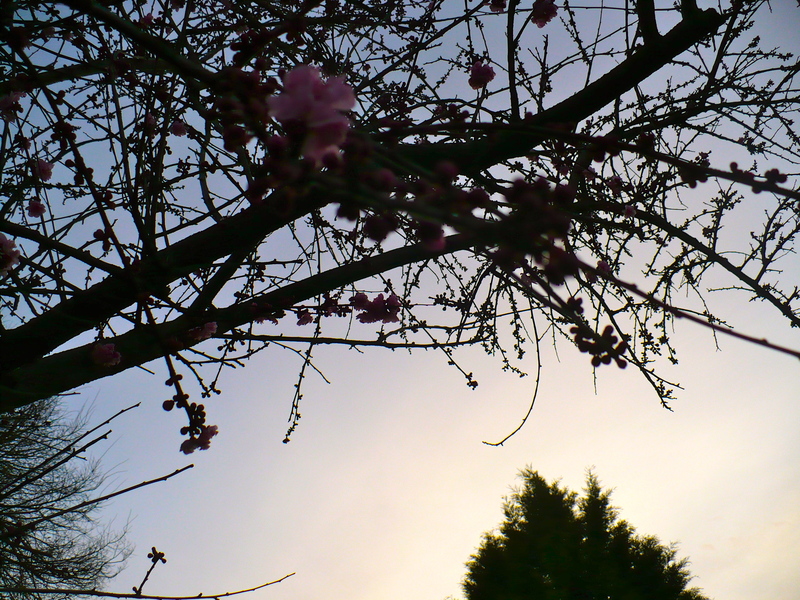 “New cherry blossom and buds at dusk” — with the aid of a whole suite of iPhoto “enhancements”!